In Louisville, the Houston family — father Wade, the basketball coach; son Allan, the basketball All-American and NBA all-star – is known for its athletic prowess. 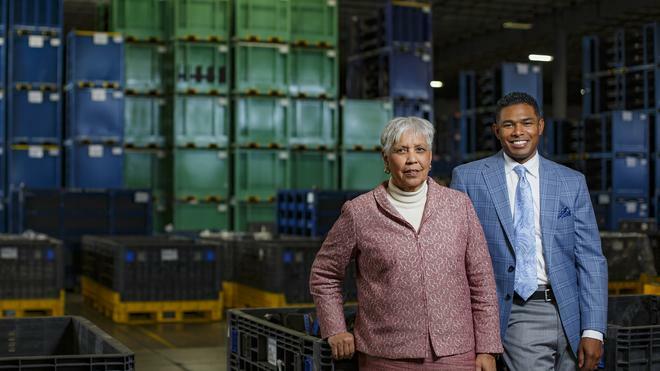 But in the industrial field, Wade and his wife, Alice, are known for their prowess running a company specializing in distribution and supply-chain management. When they first founded the Houston Johnson Corp. with Wade’s college roommate, Charlie Johnson, they were hauling finished cars and trucks over the road. Ford Motor Co. was their biggest client. The business grew, expanded, entered into a joint venture and became part of a conglomerate until, in 2001, the Houstons got out of the transportation business to concentrate on the much smaller warehousing component. The $450 million truck-hauling business was downsized to a $4 million warehousing operation. In 2016, the company became HJI Supply Chain Solutions. Alice Houston stepped down as president of the company and turned the reins over to her son-in-law, Condrad Daniels, husband of the Houstons’ daughter, Natalie. HJI is confident it’s defying the odds. In choosing her son-in-law to replace her, Alice Houston is very careful to assert that it was never preordained. She explained that “you have the business and you have the relationships. If you have to let someone go, there will be a degree of angst. You might go to the same church as that person, or the same grocery store, or live in the same neighborhood. It turned out, hiring Daniels was very much worth the risk. 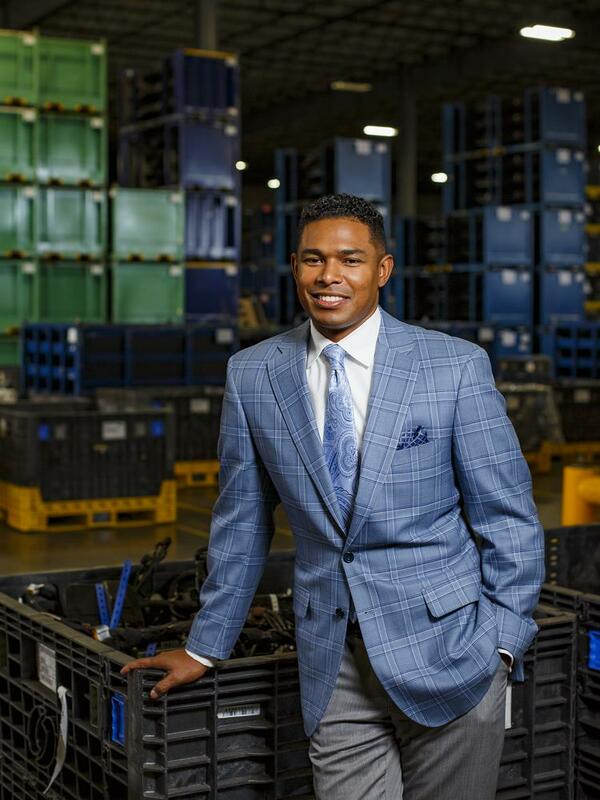 With his background – an industrial engineering degree from Georgia Institute of Technology — he was perfectly primed to lead HJI out of warehousing and into the sophisticated world of high-tech inventory management, a systems-based approach to helping clients track the movement and storage of raw materials, work-in-process inventory and finished goods. The company had always moved parts for Ford’s Kentucky Truck Plant. But autos and trucks, which had once been assembled in bulk, were now being customized. And that meant that specific components on the assembly line had to be at arm’s length of the workers in precisely the right order to be handled and applied to the right vehicle. “We were one of the first sequencers in Kentucky,” said Houston. There was another thing Daniels brought to the table. He had played football for the Yellowjackets. William Kean was the winningest high school coach in the commonwealth at Central High School. His teams won 225 football games and 857 basketball games, a total of 1,082 wins and an 89 percent winning percentage. Wade played basketball at the University of Louisville and coached Male High School to the 1975 state championship. Allan was an All-American at the University of Tennessee, an NBA all-star with the Detroit Pistons and New York Knicks, and a member of the U.S. Gold Medal team at the 2000 Olympics in Sydney. Daniels started with HJI in quality control, then operations, and he was encouraged by his mother-in-law to go for his MBA, a degree he obtained from U of L in 2003. He became head of operations and brought his experience to the building of the logistics service. “He set up our tech systems and even designed our building,” Houston said. “We couldn’t pay him what he was actually worth in the open market. But it did expose him to a broad range of experience he would not have gotten in a traditional corporate environment. He was in the room, heard the conversations and debates, and was able to receive mentoring and development from me and Wade. So he was ready to move toward the presidency? Not so fast. That’s not unusual for a first-generational business owner who’s used to control, and it can set a minefield for a successful transition. But Houston was too smart to let that happen. She had a well-crafted succession in mind, touching all the bases. In 2016, they told the company staff. And in January 2017, when the employees returned from their holiday breaks, Daniels was in Alice’s office as company president. One of the most important things they did during the transition was to get involved, at Daniels’ behest, with the University of Louisville Family Business Center. “That was Drad’s wisdom,” acknowledged Houston. “I know what I don’t know,” said Daniels, “so I sought expertise in the transitioning of small family businesses through the Family Business Center. It provided us with workshops and speaker programs that addressed generational succession plans. But more important was hearing the first-hand experiences of first, second and third-generation family business owners. Another key aspect of the transition was defining and reiterating the company mission statement, which is essentially an extension of how Alice and Wade Houston live their life. The mediator/consultant was Rachel Butler of Right Angle Consulting. The third generation? Nobody’s thinking about that yet. But Daniels notes that there’s a deep bench. “There are 15 grandchildren,” he said.